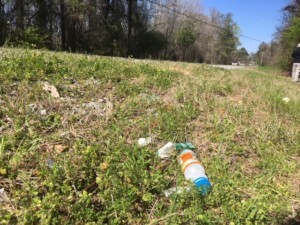 Throughout Elmore County it’s not uncommon to see litter lining the roadways. It’s something the Elmore County commission wants to stop. “We’ve had many complaints about litter and that’s nothing really new. I complain about it myself when I drive down the road that I live on. We all have this frustration about the litter. And so, as a county commission, there are certain things we can do and one of those things is lead by example,” said Troy Stubbs, Commission Chairman. So they are calling on the community to lend a helping hand for one day. The Elmore County Highway department has identified roads that are hot spots for litter across the county. Each group of volunteers will get assigned to a certain area with trash bags and safety vests. Officials are hoping this spring clean will inspire everyone to get involved in their community and keep it clean. “We’ve got some social media events set up so people can post their pictures. We also want feedback, and hopefully what we will be able to do is instill some pride in our community and people will be less likely to throw litter out and more likely to pick it up if they see it,” said Stubbs. To sign up to pick up litter, call the Elmore County Highway Department at 334-567-1162.